Complaints against Geico are lower than the industry median. Website and mobile app have a wide array of features tech-savvy customers may appreciate. Geico is the nation’s second-largest auto insurance company, known primarily for low rates offered directly to consumers online and over the phone. If you’re looking for an affordable car insurance policy and you’re comfortable managing your own accounts online when an agent isn’t nearby, Geico might be right for you. Mechanical breakdown coverage: This covers repairs to all mechanical parts of a new car, up to 15 months old and with less than 15,000 miles, except problems caused by wear and tear. There’s a $250 deductible. Mechanical breakdown coverage is renewable for up to seven years or 100,000 miles and does not pay for regular maintenance such as tune-ups. Emergency roadside assistance: For as little as $14 a year per car, you can add emergency roadside assistance coverage, which can help if you have a dead battery, lock yourself out of your car, or need gas or a tow. Auto Repair Xpress is meant to make life easier while your car is in the shop as the result of a claim. A claims adjuster will meet you at the repair shop, explain the repair process and answer any questions. If you have rental reimbursement in your policy, Geico will pay for a rental car you pick up at the repair shop and drop off there when your car is ready, although it’s not available in all areas. 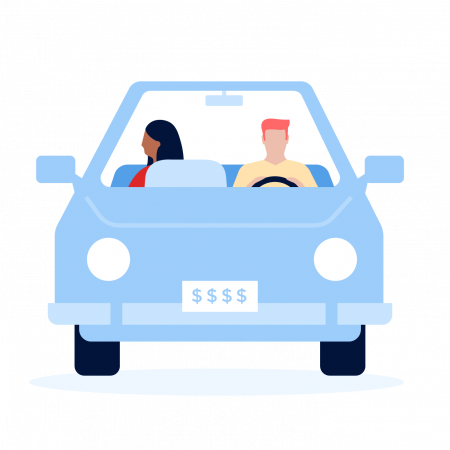 Ridesharing insurance: If you drive for a rideshare company such as Uber or Lyft, or a delivery service like Instacart or GrubHub, this option allows you to have one policy that covers both personal and ridesharing use. Available in 39 states, you can replace your existing auto policy with this hybrid insurance on the ridesharing vehicle only. Geico’s financial strength is “superior,” according to ratings agency A.M. Best. The financial strength rating for an insurer indicates how well it can pay claims. Geico had fewer complaints to state regulators than the industry median in 2018 for a company of its size, according to the latest data from the National Association of Insurance Commissioners. Geico offers other insurance products, such as home insurance, through partner companies. When you buy a policy from one of these third parties through Geico, the company offers discounts on its car insurance — but you’ll still have to deal with multiple insurers. Website: You can learn about and get a quote for almost any type of insurance through Geico’s website, and submit a claim or make a payment. The site also has a feature to help you find the nearest cheap gas station. Mobile app: Geico’s mobile offering is full-service: It helps you keep track of your policy and billing details, access your digital auto insurance ID card, pay bills and submit claims. You can also use the app to chat by text with an agent or request roadside assistance. Voice assistants: Geico’s virtual assistant Kate is a feature of its existing app for iOS and Android users that can answer your insurance questions and provide specific policy information. Your Geico account is also now accessible through Amazon’s Alexa. Geico’s phone number is 800-207-7847.